On March 26, 2019, about 1710 eastern daylight time, an experimental amateur-built Fisher Flying Products Dakota Hawk, N30271, impacted terrain during a forced landing shortly after takeoff from Little River Airport (FL10), McAlpin, Florida. The private pilot was uninjured, and the airplane was destroyed by a post-impact fire. The airplane was privately owned and operated as a personal flight under the provisions of Title 14 Code of Federal Regulations Part 91. Visual meteorological conditions prevailed at the time of the accident and no flight plan was filed for the local flight. According to the pilot, he intended to fly in the airport traffic pattern to practice touch-and-go landings. He completed a preflight inspection and an engine run-up with no anomalies noted prior to taking off from the 2,668 x 50 ft turf runway 27. He stated that the takeoff run was longer than usual, and that after liftoff the engine did not seem to be producing normal power. He barely cleared the trees at the end of the runway and shortly thereafter "the left wing dropped," and he lowered the nose to prevent the airplane from stalling. When he determined that he had insufficient altitude to recover, he landed straight ahead in a young pine tree planation. He managed to safely egress before a post-impact fire destroyed the airplane. According to Federal Aviation Administration (FAA) airman records, the pilot held a private pilot certificate with a rating for airplane single-engine land. 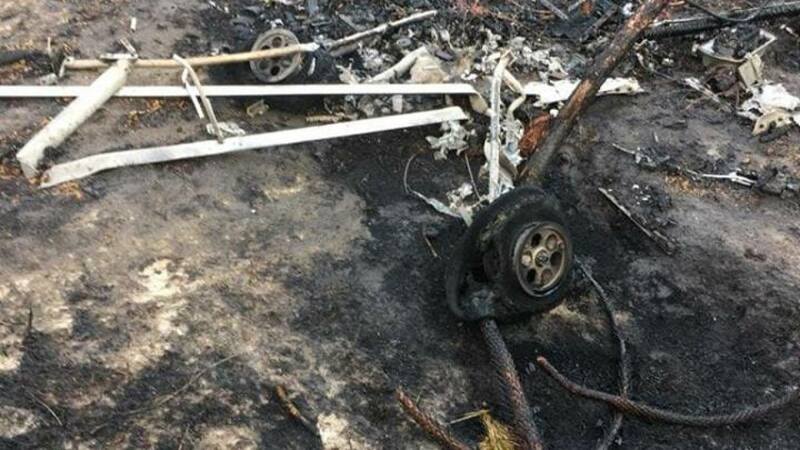 The pilot reported 87 total hours of flight experience of which 18 hours were in the accident airplane make and model. According to FAA airworthiness records, the airplane was manufactured in 2002. It was equipped with a Continental O-200 series, 100-horsepower engine that drove a fixed-pitch propeller. The airplane came to rest about 1,000 ft beyond the departure end of runway 27. Most of the airplane, except for a portion of the empennage and the engine, was destroyed by the post-impact fire. The wreckage was retained for further examination. The 1715 weather reported at Suwannee County Airport (24J), Live Oak, Florida, located 13 miles northwest of the accident site, included wind from 360° at 6 knots, visibility of 10 miles, few clouds at 8,000 ft, temperature 25° C, dew point 9° C, and an altimeter setting of 29.96 inches of mercury. 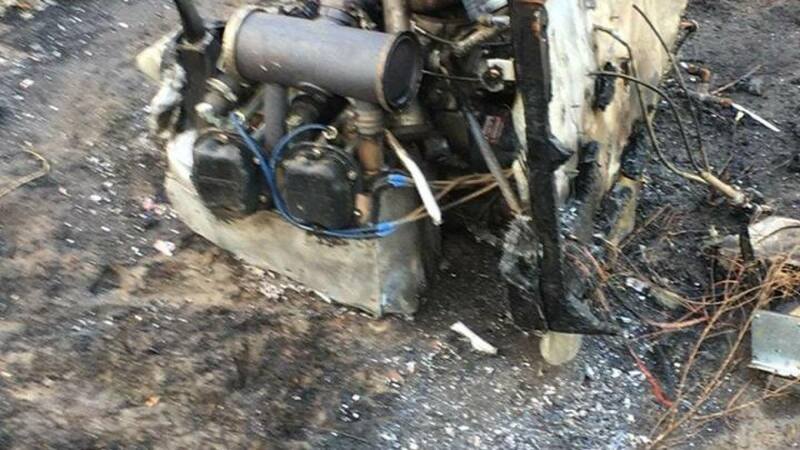 McALPIN, Florida — A small plane crash in southern Suwannee County on Tuesday caused a fire but no injuries. Fisher Dakota Hawk plane began having engine trouble, according to the Suwannee County Sheriff’s Office. The plane reached an altitude of around 75 feet, before the engine began to stall and Fox had to put the plane down in a pine tree field near 81st Road and 180th Street without being injured, Sheriff Sam St. John said. Shortly after Fox got out of the plane, it caught fire. Suwannee County Fire Rescue responded to reports of the plane going down followed by plumes of smoke. SCFR arrived to find the plane in flames as well as a brush fire caused by the crash. SUWANNEE COUNTY, Florida (WCJB)-- In Suwannee County, there was a small plane crash on 81st Road near 180th Street. A local pilot was practicing flight techniques when the plane's engine malfunctioned and he lost control. "Crews arrived on scene to find a local pilot there's a grass private runway located in that area and the pilot was just practicing some flight techniques and everything in that area and his engine malfunctioned and he lost all control of his engine and then he lost lift," said James Sommers, the Suwannee Fire Rescue Public Safety Director. First responders say the pilot was the only passenger on board and was not injured from the crash. 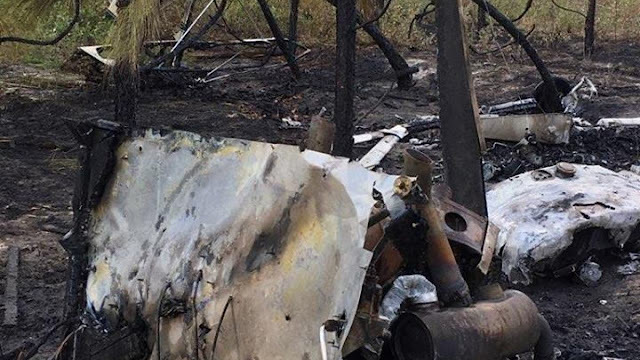 SUWANNEE COUNTY, Florida (WTXL) — Crews have responded to a brush fire caused by a crashed plane in Suwannee County. Suwannee Fire Rescue says crews are on scene on 81st Road near 180th Street for a small plane crash. They say reports came in that a small plane was seen going down, followed by a plume of smoke. Crews then arrived to find the plane actively burning and a brush fire caused by the crash spreading. Luckily, the single occupant inside the plane was not injured in the incident.